Cash flow based or goal based? Where do we go from here? The financial services industry is infamous for the amount of jargon, lingo, and technical terms that we regularly throw at consumers: Monte Carlo vs. straight-line returns; acronyms like IRA, RIA, and IAR; suitability vs. fiduciary standards; cash flow-based vs. goal-based planning software. In our previous blog post, we tackled the history of the terms “cash flow-based” and “goal-based,” including their original meanings in the industry. In this post, I’d like to review more recent interpretations of these terms, along with introducing terms we think are more accurate to describe today’s financial planning software design philosophies. 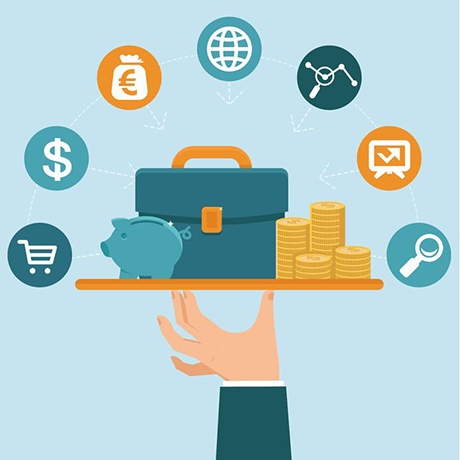 As Chad noted in our previous post about planning software, historically, the term “cash flow-based” was used to describe planning software that oriented the client plan around comparing in detail all inflows and outflows over a client’s lifetime, rather than centering the conversation primarily on the client’s goals. The term only really started to be used to describe this kind of software once a new type of software design philosophy emerged: “goal-based” planning, which was intended to make planning software easier to use by advisors and easier to understand by clients. Rather than showing all inflows and outflows across the entire plan, goal-based software moved towards making some assumptions about cash flows and other areas, instead of requiring extremely detailed inputs in order to generate a plan for a client. Today, most financial advisors agree that personal financial advice should be approached and understood in the context of the goals a client wishes to achieve – historically, what might be called a “goals-based” approach. This approach can be combined with the sophistication and much of the detail of a cash flow-based approach, which is what we aim to do at Advizr. We expect to see this historical differentiation between goal-based design and cash flow-based design merge into one design philosophy that is easy to use and understand but also comprehensive. Lately, I frequently hear and see these terms used more with regards to a client’s expenses, as well as whether the software solves for the client’s savings target amounts without regards to their budget (“goal-based”), or if it solves for what goals the client can realistically accomplish given the room in their budget (“cash flow-based”). These new definitions of the terms make sense in some ways, with goal-based focusing on telling the client how much savings it takes to achieve their goals and cash flow-based focusing on telling the client how many of their goals they can realistically achieve based on their cash flow. However, the confusion around these terms and their previous definitions warrants a new way of describing what is going on in each of these design philosophies. In effect, the biggest difference in financial planning software design philosophy now is whether a plan is based on a budget or not: “budget-based” or “non-budget-based.” This difference is important to understand when working with or evaluating any new planning software, since the non-budget-based approach is more expected and easily understood by those of you who have previously used goal-based programs. For advisors who previously used cash flow-based programs, you’re likely more comfortable with the budget-based approach. At Advizr, we generally take a budget-based approach that solves for how much of the goal a client can realistically achieve given their budget. Although, in most cases our users can “solve” for savings targets by simply sliding the bar on the amount of additional monthly savings What Ifs tab until the goal is fully funded. You’ll see us start using budget-based and non-budget-based lingo in lieu of “cash flow-based” or “goal-based” in the future, to help clarify our approach to financial planning software design. Please note that this is the second part and continuation of our previous blog post entitled: The Evolution of Cash Flow Based vs. Goal Based Financial Planning Software by Chad Blythe.